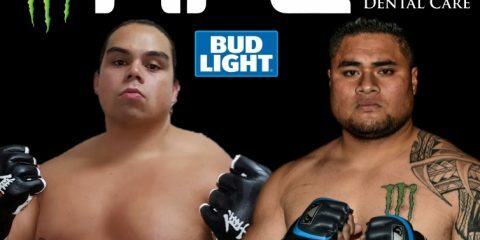 Every week, Combat Press takes a look at three regional, developmental and international cards from the upcoming weekend, previewing from each a single fight to which people should pay close attention. We will also list other significant bouts from the card, as well as information on how to follow each promotion and watch the events. 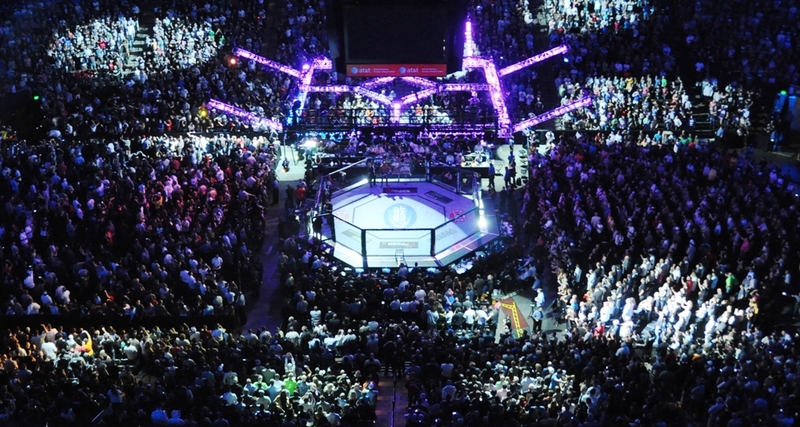 Let’s discover those prospects that fight in the obscurity of the regional, developmental and international circuits, waiting for their shot at the bright lights and big stage of the UFC, and those veterans looking for one more chance at stardom. 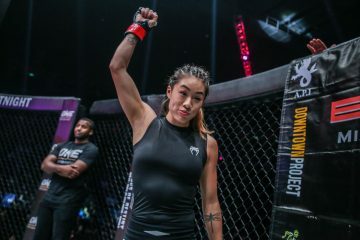 ONE Championship heads to Myanmar for its latest installment, dubbed “Spirit of a Warrior.” The card only features one title bout atop a lineup that also includes prospects such as Roman Alvarez, Sagetdao Petpayathai, Rafael Nunes, Tetsuya Yamada, Ahmad Qais Jasoor and Lei Chen. The championship affair that takes top billing puts a spotlight on two-division champion Aung La N Sang. 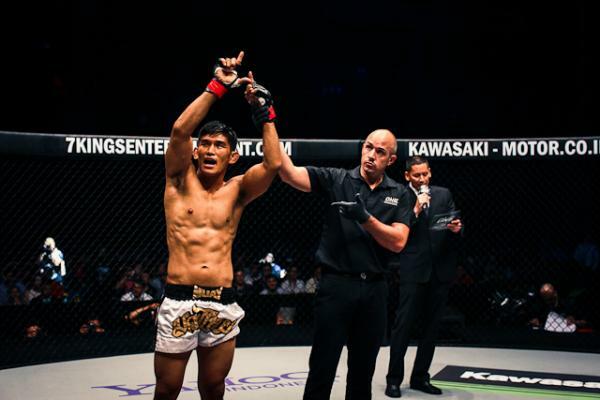 N Sang, who holds both the light heavyweight and middleweight crowns, will put the latter of those titles on the line against Ken Hasegawa, a former Deep titleholder and Titan Fighting Championship veteran. N Sang is a veteran fighter with a good record, but not really a head-turning one overall. 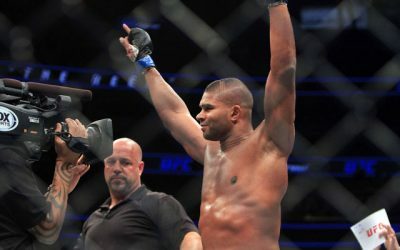 “The Burmese Python” has made strides lately, however, by claiming gold first as a light heavyweight under the ONE banner and then as a middleweight. In his run to two division crowns, the Myanmar native decision Vitaly Bigdash at middleweight and destroyed Alexandre Machado at light heavyweight. N Sang trains out of Maryland with the Crazy 88 Brazilian Jiu-Jitsu camp. 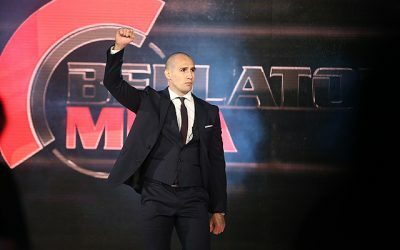 He has bounced from Ring of Combat to Bellator to Cage Fury FC and on to ONE, where he now holds a 7-1 promotional record. Along the way, N Sang has clashed with Costas Philippou, Uriah Hall and Jonavin Webb in losing efforts. His fortunes improved upon his arrival in ONE Championship, where he has defeated formerly undefeated fighters Bigdash and Alexey Butorin, as well as the formerly once defeated Michał Pasternak. The 33-year-old has 12 submission victories and eight wins by some form of knockout. He’s now won two straight fights in the first round. After a lengthy run in open-weight fights and a reign as Deep’s Megaton champion, the 31-year-old Hasegawa has finally realized that his best future prospects might require a move to a stricter weight classification. Instead of continuing to compete against all sizes of opponent, the Kingdom Ehrgeiz export has moved between the middleweight and welterweight divisions following a brief stop at light heavyweight. Hasegawa, who once looked like an out-of-shape fighter, has found tougher competition along the way. His 205-pound appearance came on American shores, a first for the Japanese fighter, under the Titan FC banner, where he topped Matt Thompson via unanimous decision. The Deep veteran then returned home, dropped to middleweight and submitted Ryuta Sakurai in the first round of their encounter. He finally suffered his first setback under the Rizin Fighting Federation banner when he was submitted by Bellator veteran Brennan Ward. Hasegawa, who made his pro debut in 2011, scored a first-round knockout in his next fight and then won two tournament bouts to advance to the finals of Deep’s welterweight grand prix. He lost in the finals against Ryuichiro Sumimura, who scored a first-round knockout finish of his own. Hasegawa has since returned to the win column with a submission of the severely outclassed Genpei Hayashi. 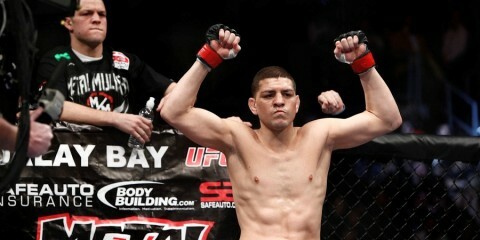 Overall, he has six knockouts and four submission victories. Hasegawa can brawl. He knows how to finish fights with his fists, too. 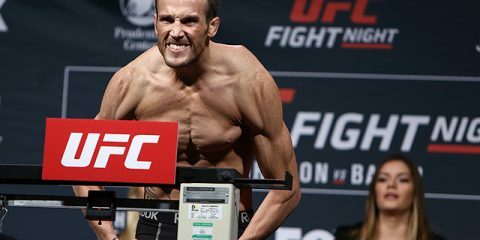 The 31-year-old is a very dangerous adversary when the fight is upright, and N Sang has been stopped by strikes against the aforementioned Philippou, Hall and Webb. N Sang is no stranger to finishing fights either. The Myanmar native has a strong submission game, but he’s also capable of dropping opponents with his fists. 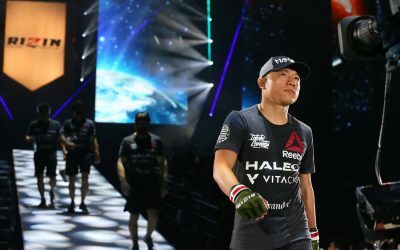 Thanks to his eight fights under the ONE banner, as well as his time on American soil, N Sang has a much deeper pool of talent among his past foes. A knockout is never out of the question for Hasegawa, but he might finally have entered a level of competition that’s too much for him. The Japanese fighter could be forgiven for his submission loss to Ward, a former Bellator tournament winner, but he gets less leeway for falling at the hands of Sumimura, a 10-6 fighter at the time of their meeting who made Hasegawa just another victim during the best run of his career. N Sang has to be the favorite in this fight. He’s fought UFC-caliber competition in the past and, despite losses in those contests, he probably picked up some skills along the way that should help him compete with Hasegawa. N Sang is fighting in his homeland and brings a grappling game that might be enough to put away his opponent. This one ends in a submission victory for the two-division champ. Xtreme Action Park in Fort Lauderdale, Fla. In April, Jose Caceres, a World Series of Fighting veteran, finally claimed Titan FC gold when he submitted Rami Hamed in a rematch of a previous title outing that ended in a no-contest. Now, Caceres returns in the co-headliner of the promotion’s 50th event, which also features a lightweight title scrap between Raush Manfio and Sidney Outlaw. Caceres attempts to defend his belt against undefeated challenger Uroš Jurišic. Caceres made his professional debut in 2010 on the Florida regional circuit. After three submission victories, he moved on to the Championship Fighting Alliance, where he dropped his first three fights before finding his groove again and scoring back-to-back submission wins. 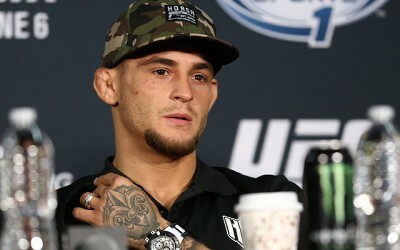 His CFA tenure ended on a bad note when he suffered a decision loss to current UFC interim welterweight kingpin Colby Covington. After a quick, successful stop in Combate Americas, the American Top Team fighter migrated to the WSOF. He dropped his promotional debut and then hopped around to a variety of organizations, including another stop with the WSOF, en route to four straight wins. 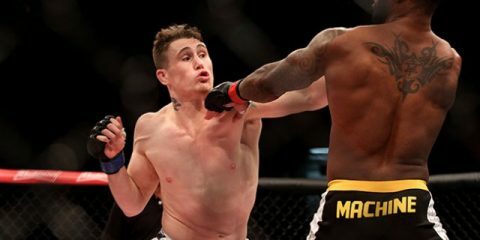 His streak was brought to a halt, however, when he lost two of his next three fights, including a quick knockout at the hands of current UFC fighter Niko Price. “The Fresh Prince of Kendall” has since added three submission victories and a no-contest to his resume while grabbing the Fight Time welterweight title and the Titan crown. The 25-year-old Jurišic also calls the American Top Team network of gyms home. 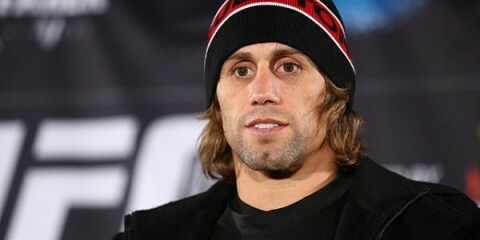 In fact, he represented ATT on The Ultimate Fighter 21 in the camp’s battle against the Blackzilians. Jurišic, who was 4-0 at the time of his reality-show appearance, fell short in his one TUF bout against Luiz Firmino, who scored the unanimous-decision victory. The Slovenian fighter remained inactive for two years after his TUF stint, but he returned in 2017 and scored two first-round knockouts, including one inside the TItan cage. He’s made one appearance in 2018 in a Titan welterweight bout that went the distance against Michael Cora in a winning effort for Jurišic. Caceres doesn’t have the best of records, but he can be deadly with his chokes when the fight hits the ground. 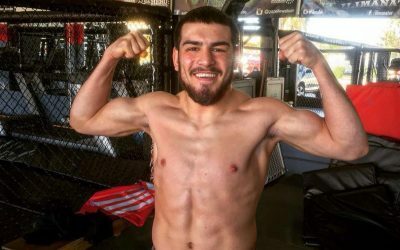 His inability to find victories on a consistent basis is reason for concern, but the Floridian fighter has managed to improve as his career has progressed. Caceres is a more impressive 8-2 over his last 10 fights. Jurišic is an injury-prone fighter who has had two lengthy stretches of inactivity in his short career, including a two and a half year hiatus between his pro debut and his sophomore outing. He does hold a win over current Bellator fighter Vaso Bakočević, but most of his victories have come against low-level opponents. This is the perfect test of whether Jurišic is a legitimate prospect or just a fighter who has benefited from a weak schedule of opponents. Jurišic does prefer to grapple, but he might not have the striking to keep Caceres honest or the wrestling to take the champ down with ease. Meanwhile, Caceres is a threat to lock up a choke at any moment. Much like in the ONE contest we’ve already previewed, this fight could come down to experience over shiny record. If this is the case, Caceres will hold onto his title after catching Jurišic in a choke when the prospect makes a mistake in the scramble. Pancrase’s welterweight King of Pancrase crown currently sits vacant as a result of Daichi Abe’s move to the UFC. The former champ has struggled in his new surroundings, and now he’ll look on as his title goes to the winner of the Pancrase 297 headliner between Takashi Sato and Glaico França. Sato has the makings to become another future Pancrase-champ-turned-UFC-fighter. The 28-year-old debuted in 2013 and cranked out eight straight wins. Five of those victories, including four by submission, came in the first round. The Tribe Tokyo MMA product finally stumbled when he met Kenta Takagi, who finished Sato with a first-round knockout of his own. Sato recovered and reeled off five victories, including four by first-round knockout. In his most recent appearance, Sato destroyed fellow prospect Masayuki Hamagishi in just 52 seconds. The 27-year-old França debuted in 2012 with three straight stoppage wins before losing back-to-back fights. The Brazilian went 9-1 over his next 10 fights while scoring eight finishes. França’s impressive run earned him a spot on the fourth season of The Ultimate Fighter: Brazil. He submitted current Titan FC lightweight champion Raush Manfio, Nikolas Motta and Joaquim Silva on his way to a spot in the lightweight bracket’s finals. At UFC 190, França submitted Fernando Bruno to become the TUF Brazil 4 lightweight tourney champion. 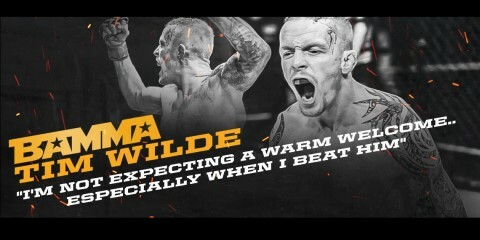 He was thrown to the wolves over his next two bouts, in which he suffered losses to James Vick and Gregor Gillespie. 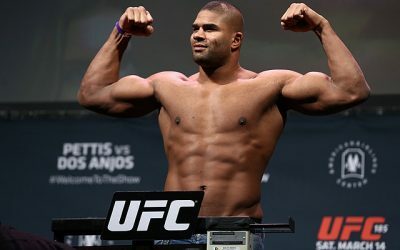 França was then jettisoned from the UFC roster and returned to Brazil, where he recorded four stoppage wins. The Astra Fight Team export traveled to Japan’s Pancrase organization for his most recent fight, a split-decision nod over Hiroyuki Tetsuka. Overall, “Nego” has nine knockouts and seven submissions. There is no question that França is a skilled finisher. He was able to win at all but the highest levels — Vick and Gillespie are both in or near the UFC’s lightweight top 15 — and rolled through the TUF house. He did struggle slightly against Tetsuka in his first trip to the Land of the Rising Sun, but that experience should help him feel more comfortable now in this visit to Japan. 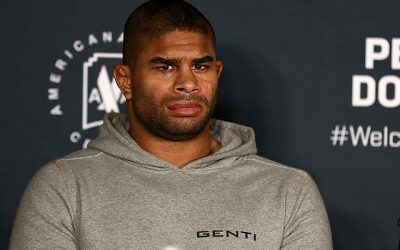 França, despite his five losses, is a legitimate talent who should go far outside the UFC and eventually find his way back to either the Octagon or another major global promotion. Sato sits atop the Japanese welterweight mountain, but he has yet to dip his toes into the international waters and take on truly tough competition. Despite his tendency to stay close to home, the 28-year-old has already suffered a loss to a fighter who was just three wins above the .500 mark when they met and who now sits at .500 after 32 career outings. França went the distance with Vick and Gillespie, therefore proving he’s no slouch even in the big leagues. He seems like far too difficult an opponent for Sato. Unless Sato’s home-field advantage kicks in and França suffers from the jetlag of the trip over the Pacific, this one is probably going to lean in the direction of the former TUF champ. It’ll be a hard-fought battle where both men come close to scoring the finish while ultimately going the distance.